Rockford, Ill- The Rockford IceHogs finalized their preseason schedule for the 2016-17 season, which will feature two games in preparation for the start of the regular season. 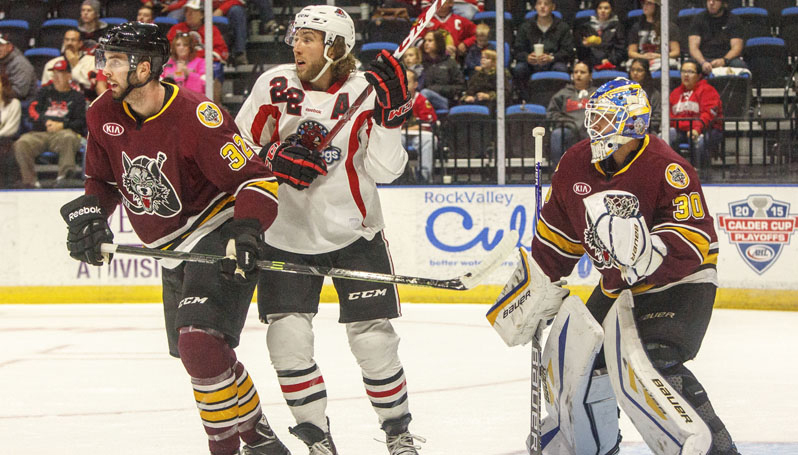 The IceHogs will play their first preseason game in Rockford against the Chicago Wolves at the BMO Harris Bank Center on Thursday, October 6th with a 7 p.m. puck drop. Ticket information for this game will be released at a later date. Then, Rockford will conclude their preseason the following day on Friday, October 7th against the Milwaukee Admirals at the Kern Center, located on the campus of the Milwaukee School of Engineering, with puck drop starting at 7 p.m. The IceHogs, coming off their second straight trip to the Calder Cup Playoffs, will begin the home portion of their 2016-17 regular season schedule on Saturday, Oct. 22. The full 2016-17 regular season schedule is expected to be released later this month. A full training camp schedule and roster will also be announced at a later date.